Two books analyse the outlook of international oil and the shifting terrain of world power. UNITED STATES FOREIGN OIL POLICY SINCE WORLD WAR I — For Profits and Security: Stephen J. Randall; McGill-Queen’s University Press, 3430 McTavish Stree, Montreal, Quebec H3A 1X9, Canada. (U.S.) $ 24.95. 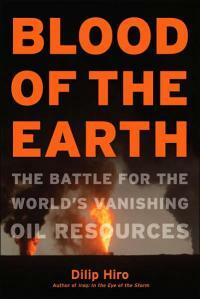 BLOOD OF THE EARTH — The Battle for the World’s Vanishing Oil Resources: Dilip Hiro; Penguin, 11, Community Centre, Panchsheel Park, New Delhi-110017. Rs. 450. More than any other mineral in the 20th century, crude oil has been central to the shifting distribution and balance of global power. As both of the books under review emphasise, the importance of oil was known to every major and presumptive power ever since the invention of the internal combustion engine allowed the conversion of merchant and military fleets from coal to diesel from the 1890s onwards. The race for oil was a fact of international geopolitics in the interwa r years and was deemed to be of sufficient significance for the post-Second World War era that Roosevelt took a secret detour after meeting Stalin and Churchill at Yalta in 1945 to rendezvous with Ibn Saud in the Suez Canal. There, the two leaders discussed the terms of an enduring grand bargain Washington was to strike with Saudi Arabia involving oil and security. And yet, as late as 1951, the 28-nation International Materials Conference hosted by the U.S. in Washington, D.C., could conclude its deliberations by not including petroleum among the commodities the Western powers considered “strategic raw material critical for defence and economic stability.” What explains this paradox? Optimism about the overabundance of the resource? Or American complacency in the face of the size and reach of its own multinational petroleum corporations? Stephen. J. Randall leans towards the latter answer, though his finely detailed book provides adequate evidence of the seriousness with which successive generations of policymakers took the question of U.S. foreign oil policy. Whether that policy was effective or not is a different matter. Whenever there were shortages or huge increases in price, legislators and officials tended to introspect about the nature of America’s international oil policy. The first full-blown international oil crisis of 1973-4 triggered an inquiry by the Senate Foreign Relations Committee (SFRC) into the history and operations of the multinational oil companies. The question the committee asked was why the U.S. — which was the world’s major domestic producer of oil and oil products — had ended up with an apparent shortage of the resource despite the global involvement and reach of its oil MNCs. And the answer they came up with was that the U.S. lacked a coherent and aggressive oil policy. Randall’s research grew out of a desire to test the SFRC’s analysis with reference to the new era which began after World War I. His book was first published in 1985, in the aftermath of the Iranian revolution and the oil price spike which followed. The new, expanded second edition brings the story forward to the present, though its most rigorously argued and documented sections are still the ones dealing with the interwar years. Contrary to the SFRC’s assessment, Randall argues that U.S. foreign oil policy had been remarkably coherent and aggressive over a long period of time. This is not to say there had not been pushes and pulls in different directions at different times. One fault line in the policy matrix was between the U.S. government and American corporations. Another was between laissez-faire bureaucrats and statist policymakers like Harold Ickes, who oversaw the Petroleum Administration for War and later the short-lived Petroleum Reserves Corporation. Ickes believed that the purely free-enterprise approach to foreign oil development was inadequate to securing America’s interests abroad. In institutional terms, he lost the debate, but the rise of a new global adversary in the form of the Soviet Union by the end of World War II saw the barriers between private enterprise and state initiative — if ever they existed in a serious form at all — dissolve at least as far overseas oil interests were concerned. According to Randall, American foreign oil policy always emphasised three goals: the acquisition of foreign petroleum reserves, the breaking down of traditional spheres of interest of competing international powers, and the containment of nationalism in the oil producing states. Here, there was remarkable continuity between the administrations of Wilson, Coolidge, Hoover and Roosevelt in the interwar years. The same pattern persisted throughout the Cold War and broadly speaking, one could argue that U.S. oil policy continues to be animated by these three concerns today. 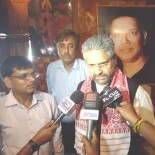 Dilip Hiro’s book is a remarkably broad and well-written account of the state of the play in the international oil arena today. He devotes considerable space to the historical evolution of the industry. Much of this material would be familiar to readers of Daniel Yergin’s seminal The Prize (Free Press, 1993), though Hiro’s contemporary, journalistic treatment will perhaps prove more accessible to the lay reader. Blood of the Earth is filled with the kind of reportage and factual detail that have helped cement Hiro’s position as one of the world’s most competent chroniclers of contemporary events. Though Hiro does not reference Randall, it is clear that modern oil geopolitics must continue to negotiate its way through the three challenges – the race for reserves, the rise of producer nationalism and the rivalry between established and rising powers – which the U.S. successfully overcame in the last century in order to establish its global hegemony. That is why the most important and fascinating sections of his book are those dealing with the rise of China and India, the myth of the Caspian oil bonanza and the struggle over competing pipeline routes. Hiro is also alive to the role the U.S. military has played in protecting American overseas oil interests. The fearsome war-making architecture of U.S. Central Command in the Middle East, for example, grew out of the “Rapid Deployment Force” set up by the Carter and Reagan administrations to deal with the risk of oil resources in the region falling into the hands of a hostile regime. As the oil resources of Central Asia opened up in the 1990s, Centcom’s mandate was expanded to cover the Caspian littoral. Despite their wide-ranging narratives, neither Hiro nor Randall addresses the issue of the link between oil geopolitics and the role of the dollar as an international reserve currency. David E. Spiro’s The Hidden Hand of American Hegemony: Petrodollar Recycling and International Markets (Cornell University Press, 1999) is still perhaps the only book-length treatment of a question whose importance has been rising in recent years as a number of oil producing states such as Iran seek to break the link between oil pricing and the dollar. The last section of Hiro’s book deals – and this is unusual for a book on oil – with alternative sources of energy. Barring the curious omission of ethanol, the discussion here is workmanlike and up-to-date. This reviewer, however, would have preferred the focus to have remained on hydrocarbons, whose geological and geopolitical context make them unique from other forms of non-renewable and renewable energy. This entry was posted on June 17, 2008 by Siddharth Varadarajan in Book Reviews, Energy, Political Economy.